Families that play together stay together... and should raise better kids into better adults without bullying and abuse. The report found that students who said they had been involved in bullying, as both a perpetrator and a victim, were five times more likely to report they had been hurt physically by a family member, compared to those who said they were neither a victim nor a bully. And they were substantially more likely to have witnessed violence against other family members. In the survey that includes for the first time questions about bullying that is regularly given to middle and high school students to gauge their health and behavior, these findings define the scope of the problem and also suggests as a primary cause, the link between violence at home and bullying at school. For example, 40 percent of surveyed women and 54 percent of surveyed men said they were physically assaulted as a child by an adult caretaker. reports that approximately 15.5 million American children were estimated to live in families in which partner violence had occurred at least once in the previous year. As many as 7 million children were estimated to live in families where severe violence occurred. The lead author of the above report is Renee McDonald who is a Professor of Psychology at Southern Methodist University. In June of this year, Southern Methodist University is sponsoring the conference Global Summit on Ending Corporal Punishment and Promoting Positive Discipline. In the Boston Globe article the Massachusetts Public Health Commissioner, John Auerbach, notes that, “Sometimes people who we have thought of as perpetrators are actually very vulnerable themselves.” Auerbach also said that his agency will train counselors and educators to better pinpoint potential problems. It may be presumptuous, but a very small organization from Fairhaven, MA, Family NonViolence Inc. is supporting legislation, that suggests that the Massachusetts Department of Public Health, and in fact everyone concerned about family violence, consider beginning at the beginning and explore the fact that many adults use and the majority of society condones the use of physical assaults against children to change or alter their behavior. This behavior is present in bullying and also child, sibling, intimate partner, spousal, and elder abuse. Please visit our website at http://familynonviolence.wordpress.com/. It’s time to connect the dots. The number of American children living in partner-violent households was estimated from a nationally representative sample of 1,615 dual-parent households. Approximately 15.5 million American children were estimated to live in families in which partner violence had occurred at least once in the previous year, with 7 million estimated to live in families in which severe partner violence had occurred. 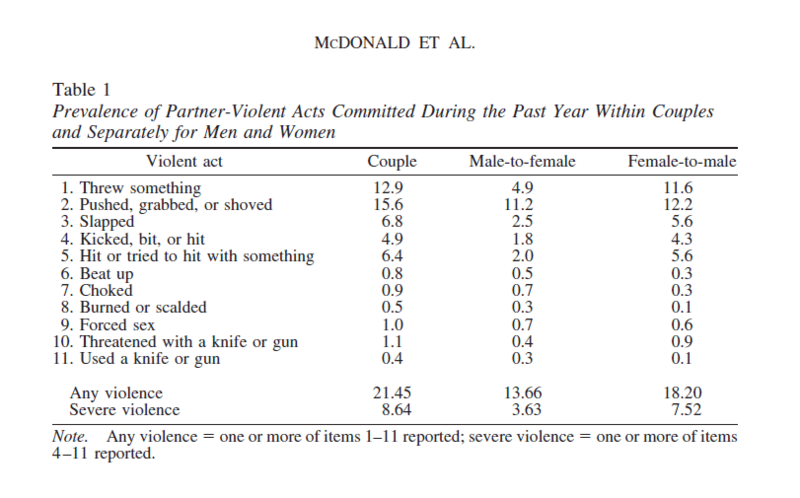 The prevalence of partner violence was higher among couples with children than among couples without children.